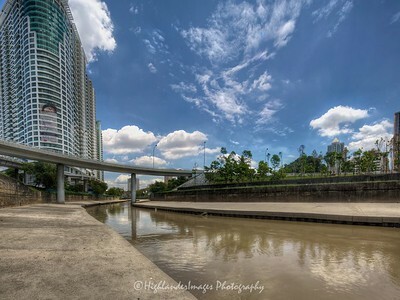 Many cities around the world have developed around rivers and estuaries as historically these waterways used to be the main method of transportation. 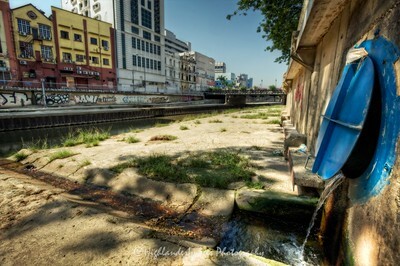 Unfortunately many rivers have become severely polluted by the rapid build up of population and industry in these areas, the rivers being used as a dumping ground for raw, untreated sewage as well as toxic industrial waste. It's only in more recent years that efforts have been made by city governing bodies to clean up their rivers. This has been successful in many places and the River Thames for example in London now has salmon back in the river after decades of poor water quality. 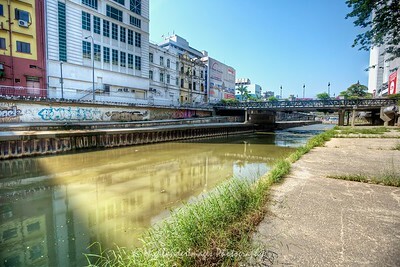 Examples like this are encouraging and set an example for other cities where rivers remain extremely polluted. 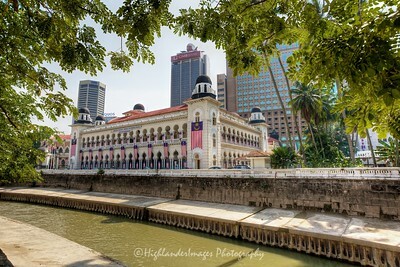 Kuala Lumpur in Malaysia also developed around the confluence of two major rivers. 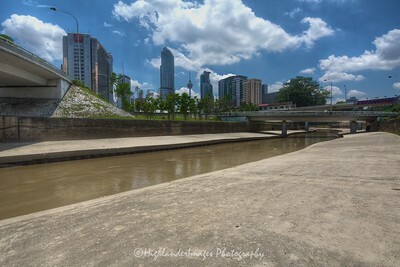 These two rivers, which meet in the centre of Kuala Lumpur, are the Klang River (Sungai Klang) and the Gombak River (Sungai Gombak). 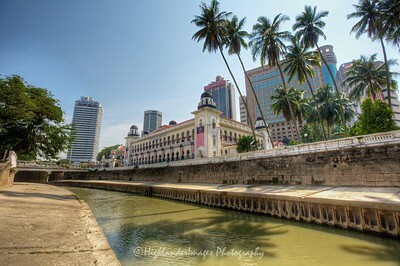 The Klang River is a river which flows through Kuala Lumpur and the state of Selangor in Malaysia and eventually flows into the Straits of Malacca. It is approximately 120 km in length and drains a basin of about 1288 square kilometres. 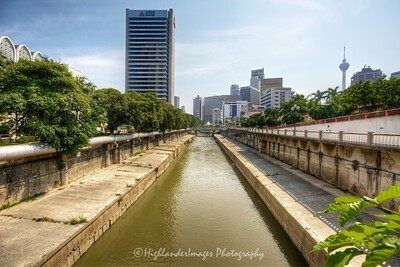 Klang River has 11 major tributaries and used to be called Sungai Seleh.The river's confluence with the Gombak River gave rise to the name of Kuala Lumpur, Malaysia's capital city. 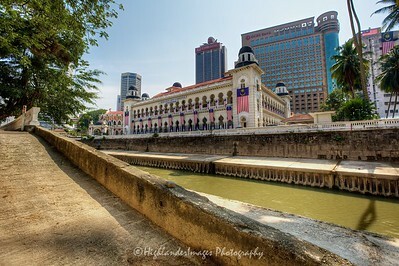 Kuala Lumpur means "muddy estuary". 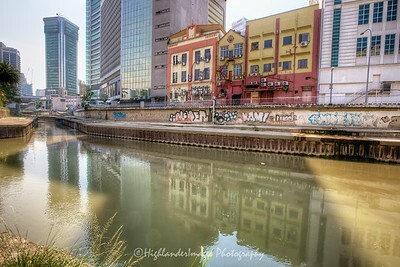 It is also thought that Klang town is named after the river. 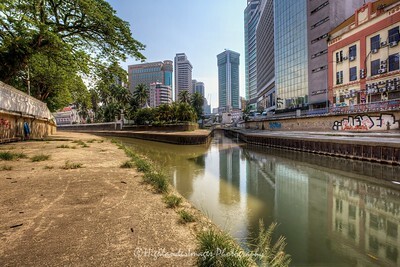 The Gombak River flows through Selangor and Kuala Lumpur and is a tributary of the Klang River. 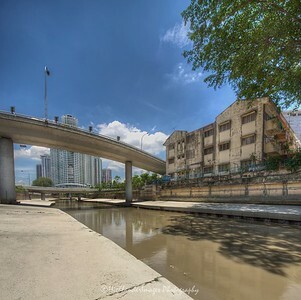 Gombak River used to be called Sungai Lumpur. 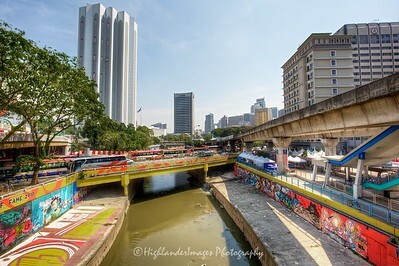 Given the fact that these rivers flow through Klang Valley, which is a heavily populated area with more than four million people, it is considerably polluted. Heavy development has narrowed certain stretches of the river until it resembles a large storm drain. 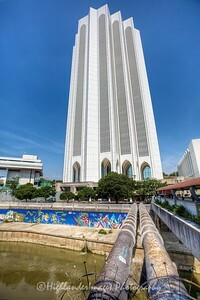 This contributes to flash floods in Kuala Lumpur, especially after heavy rain. 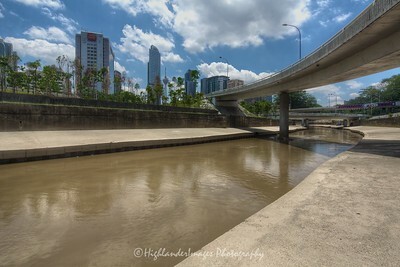 For all the talk about the beautification of the River Klang and the much publicized Klang River Rehabilition Project, also known as the River of Life programme, there has been little action and the pollution of this river is still bad and the riversides are certainly not attractive to the eye. 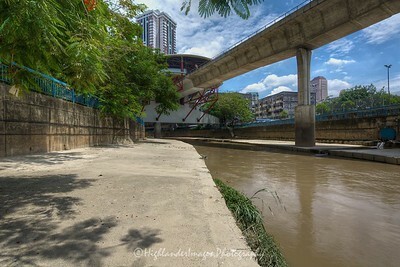 Being in such a central location in the city the river could potentially be a scenic and beautiful tourist attraction if planned properly with scenic walkways, parks and leisure areas. 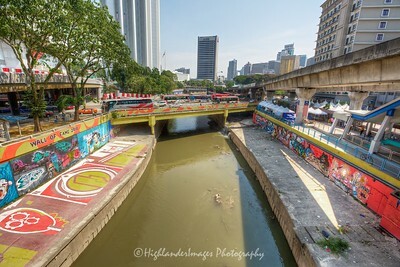 Having said this there are some beautification works ongoing at the present time in the area next to the Jalan Sultan Ismail and Jalan Kuching interchange, with grass and trees being planted, which is an encouraging sight.